McDonald’s jobs – like all jobs – provide employees with plenty of learning opportunities. McDonald’s crew members shared what they have learned from working at the restaurant chain with Business Insider. The lessons ranged from treating everyone with kindness to learning to work with others. 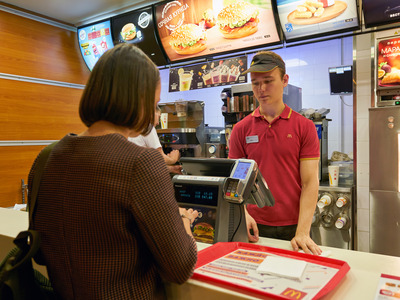 The food at McDonald’s might be largely the same all over the world, but the experiences of its employees can vary quite a bit. Of course, the atmosphere of each store depends a lot on the customer base, the crew, the management, and the franchise-owner. But there’s one commonality that links at McDonald’s jobs. Like all jobs, McDonald’s gigs serve as a learning experience, for better or for worse. Business Insider spoke with several current and former crew members to find out what they learned from working at the restaurant. Former McDonald’s employees have also posted on Quora about their work experiences. “McDonald’s can provide essential workforce skills and people can use this to their advantage in their next resume,” former McDonald’s crew member Sherwin Balugo wrote on Quora. • Operating and maintaining restaurant equipment. • Teamwork and effective communication. • Food and kitchen safety. 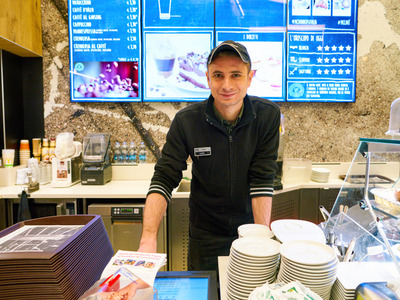 “This can be easily overlooked, as most see McDonald’s as nothing that special, in terms of profession,” Balugo wrote. One former crew member who worked at the chain for five years told Business Insider that they learned about “teamwork” through their tenure at the company. They added that they developed many friendships with their fellow crew members. Working in the fast-food industry can be rough, sometimes. Some customers will give you a hard time. The employee added that they have become adept at acting as “happy” as possible while working a shift. McDonald’s manager Cody Zeman wrote on Quora that employees should always try as best they can to engage with customers to dispel any possible tension. “I have learned how to be patient and respect people who work any kind of service job, because kindness and respect goes a long way to making people in those jobs feel good about what they are doing,” a former crew member from Virginia told Business Insider. The former employee added that they always tip 20% nowadays, even when the service is sub-par. Chan also addressed how working in the fast-food business can increase one’s sympathy with restaurant employees. McDonald’s has been the target of a wave of protests over crew members’ earnings. The organisation Fight for 15 has strived to push McDonald’s to raise its minimum wage up to $US15 an hour. 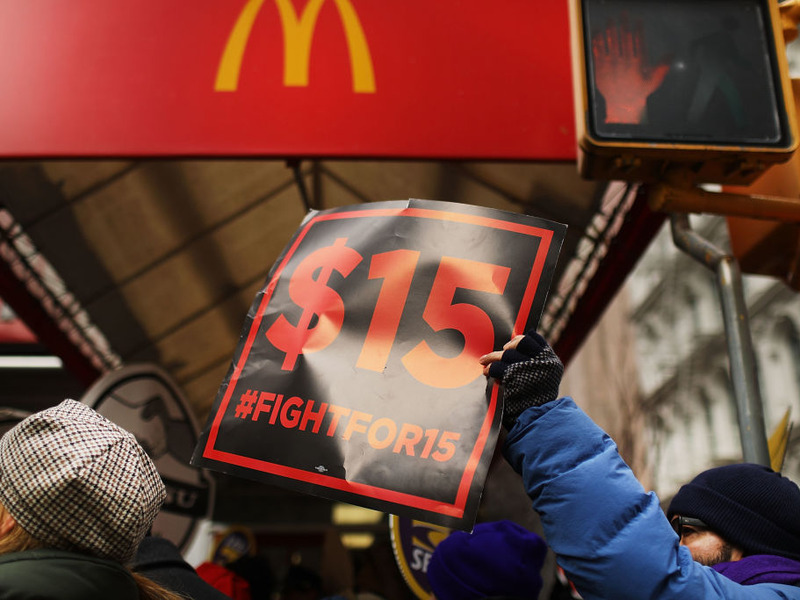 Activists argue that the fast-food giant does not pay its employees a living wage. In 2016, Richard Eiker, a longtime McDonald’s employee and Kansas City resident, told the Guardian why he participated in a number of protests against his employer. “This movement believes that no one who works full time should rely on food stamps or public assistance – just to pay the basic bills,” he said. “If you want to make a career out of it, you won’t be able to make a living from it, most likely,” former crew member Michael Lebert wrote on Quora. A former crew member from Virginia told Business Insider that the low pay bolsters the popular opinion that McDonald’s jobs are low status. One McDonald’s crew member told Business Insider that they had learned to take an optimistic view of their work. “McDonald’s isn’t always a wonderful place to work, but it is a good place to start,” a Minnesota crew member told Business Insider.